This romantic cottage located on historic 'Ark Row', has a quiet, peaceful setting with a lovely view across the bay. The cottage itself is located in town on its own private dock over the water. It is not 'near' the water, nor does it simply have a 'view of' the water. Drop a pebble a the dock and is splashes into the water. Read or write, dine or observe a parade of maritime life: sailboats, diving Pelicans, and curious seals. Though ten minutes to the Golden Gate Bridge and 15 minutes to downtown San Francisco, you will be in your own secluded world. Throughout Marin County there are fabulous biking and hiking trails with kayak and boat rentals available in Sausalito. The mini environment of maritime Sausaiito has long been recognized as the most temperate weather in the Bay Area - cool in summer and characteristically fog free most of the year. I have owned the cottage for more than 40 years, it was originally a boat house owned by a captain of a fishing boat. I had always admired the property for its location on the water, when it was offered for sale I was happy to buy it, have been glad I did. Once you see the cottage you will see what a lot it has to offer in its location, close to everything people come to Sausalito for, the lovely view, access to San Francisco and the wine country. For guests interested in kayaking or boating in general, there could not be a better place than the San Francisco Bay. Here in Sausalito every possible type of sailing, sailboarding, boating is available. Some of the best restaurants, coffee shops and cafes nearby. 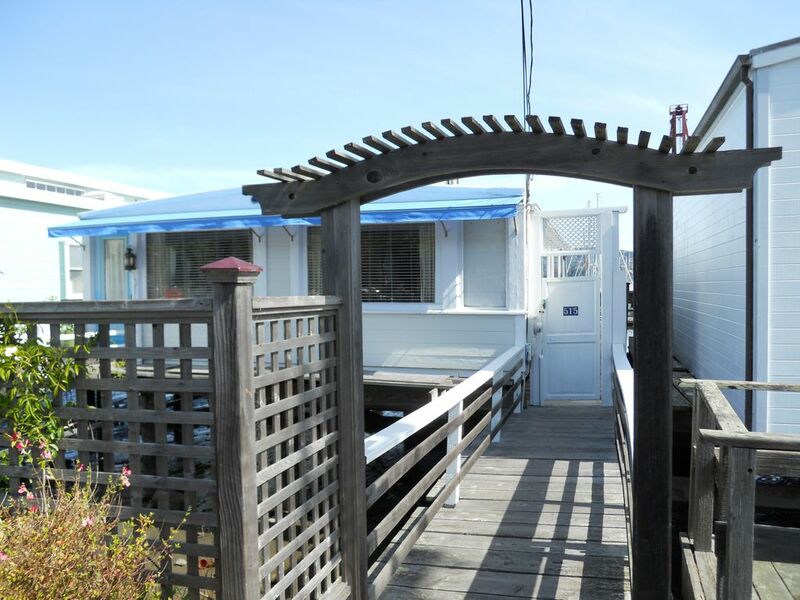 The cottage is located on the water at the edge of the San Francisco Bay, has a lovely view across the water, close to downtown Sausalito, a short walk to the San Francisco Ferry. Water view offers aquatic bird life, boats, and yachts passing out on the bay, the occasional passing seal.